Why is it that, no matter what, we always crave the back-to-basics, simple food that has been around for ages? Probably because no one wants to fuss and also because we like food that doesn’t make demands on our time, our kitchen skills or our wallets. 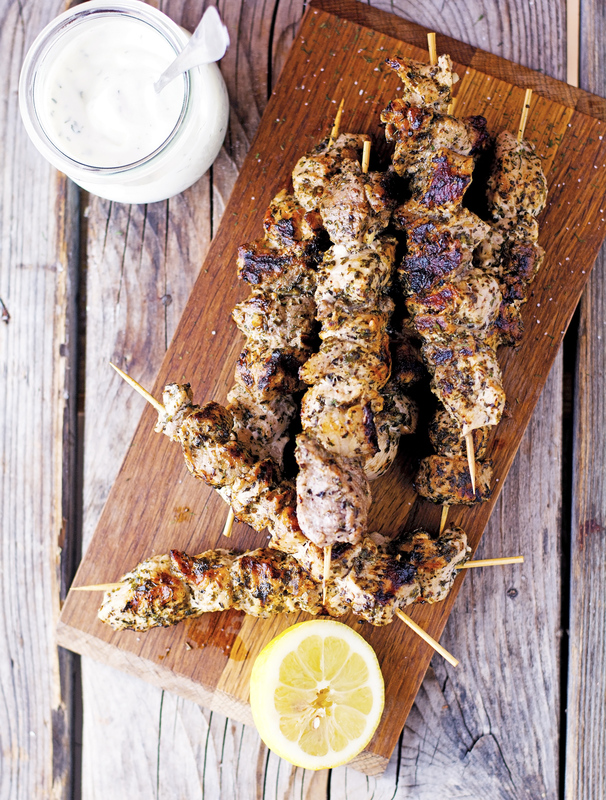 As far as I’m concerned there are recipes — such as these Classic Souvlaki Kebabs — that I make a lot around here. Simple food that speaks for itself. What is there not love about it? Souvlaki is hands down my favorite Greek food. 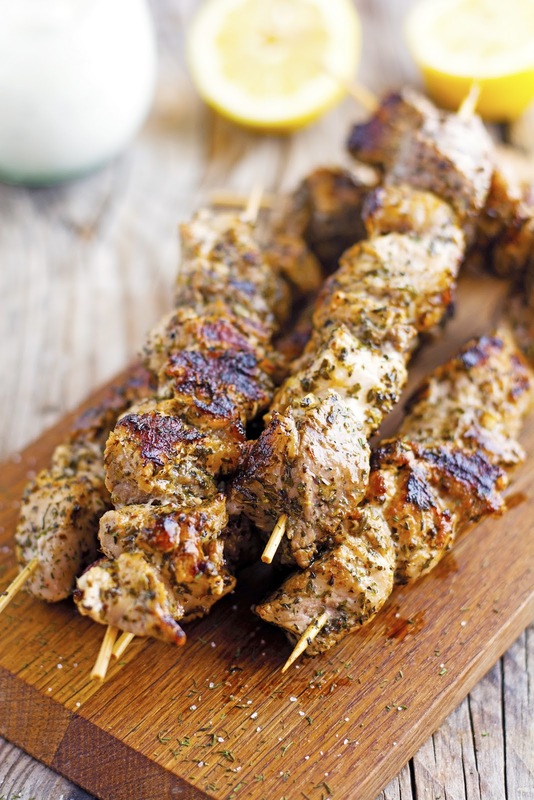 In greek soúvla actually means skewer, so souvlaki refers to chunks of meat on a skewer, usually cooked on a grill. Perfect, tender, and juicy pork on a stick: delish! The marinade is super simple to whip up: olive oil, lemon juice, vinegar and oregano. I like to add mint to my version because it complements the flavors so well and adds a fresh zip that I really enjoy. This recipe for perfect pork souvlaki is a sure-fire classic that's great on its own with a bit of tzatziki, or in sandwiches, or in salads for a fresh grilled flavor. With BBQ season just around the corner this recipe is exactly what you need to get the grill fever! 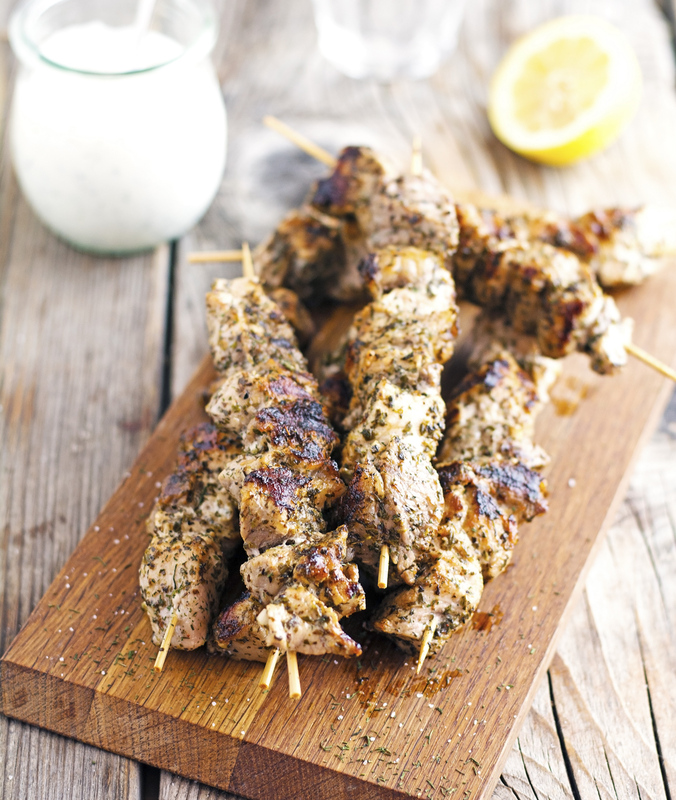 Classic Souvlaki Kebabs Print this recipe! In a small bowl stir olive oil, lemon juice, garlic, vinegar, mint oregano, black pepper, and salt. In a shallow sealable container or in a large Ziploc bag, combine pork chunks and marinade. Cover or seal and marinate in the refrigerator for 30 minutes, or longer if you want the flavors to get a bit more intense. When ready to cook, remove pork chunks from the marinade and thread onto skewers (or onto bamboo sticks that have been soaked in water), leaving little spaces between them so that the heat cooks everything evenly. Grill the kebabs, until cooked through and nicely browned and done on all sides, about 10 to 12 minutes. 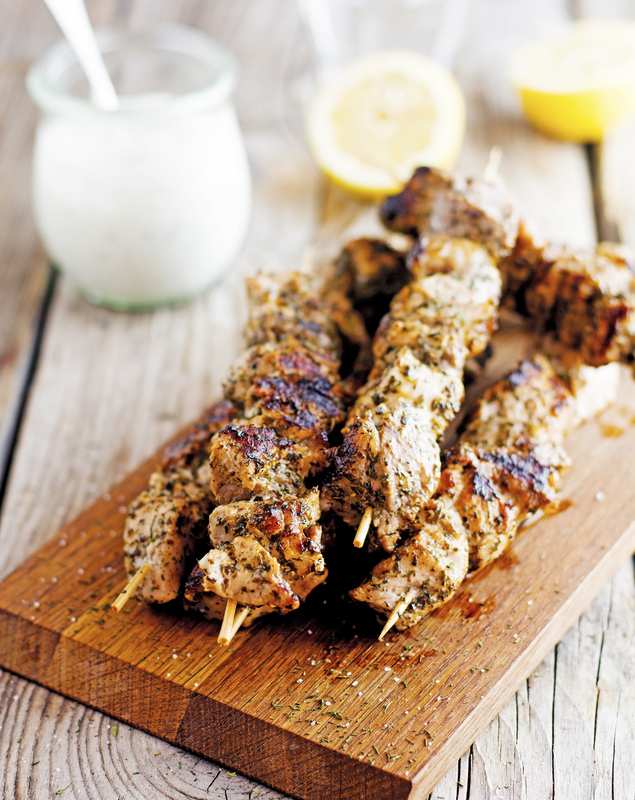 Squeeze a bit of lemon juice on the kebabs and serve with tzatziki if you like. One serving yields 223 calories, 13 grams of fat, 5 grams of carbs, and 21 grams of protein. This issue is becoming a major problem for me personally because I don't know about the essay writing and my teacher give me the assignment of writing the essay, so this becomes a headache for me that how can I do my dissertation? click to resources Then my buddies help myself about on this subject and he gives myself the thought of hiring the copywriter from the writing services provider on the internet for writing the best essay for the task. Have you tried making it with ground chicken? It'd cook the same as ground pork, right? Or is ground chicken a bit more softer in texture?